Unit is 69” square x 226” tall. 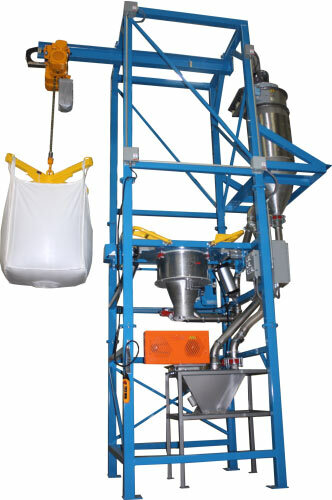 Unit includes our exclusive aluminum/UHMW Flo-Lock™ discharge gate for partial bag discharge. Aluminum Seal-Master™ bag spout access chamber provides operator access to bag discharge spout. Includes safety interlock switches. Includes an 18” diameter stainless steel product discharge transition tapered down to a 10” diameter flanged outlet.